No matter where you’re at in your faith journey at Trinity United Methodist we’ll get you connected with a group that allows you to ask questions and explore your faith. Our small groups are rooted in bible-based teachings and a thought-provoking atmosphere to help you learn, grow, and become closer with Christ. 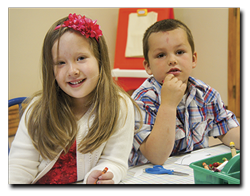 Learn more about what we have for your spiritual growth at Trinity! Watch our calendar! 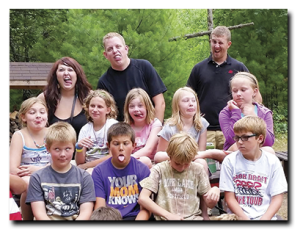 We have activities, outings, and groups for Middle School and High School Youth on Sunday and Wednesdays! Contact Us for more information. We have long and short term Bible Studies and Small groups for spiritual growth. On Tuesday mornings there is a Women’s Small Group that meets in the Church Library at 10am. On Wednesday mornings a Men’s Bible Study is held in the Church Library at 6:30am and At the Peace UM Church in the Downstairs Friends Room a mixed Group meets at 6:30pm. Contact Us for more information. 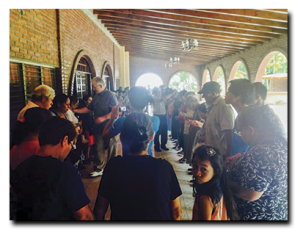 We partner with several churches in Comayagua Honduras, scheduling medical and work mission trips to the country. Trinity has a covenant with Rachel and Daniel Gabler, missionaries to Democratic Republic of Congo. 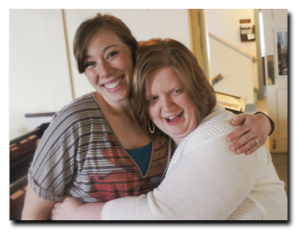 Please visit their website, http://rdgabler.wix.com/rachelgabler/ to learn about their ministry! Please contact the pastor for current plans and mission opportunities .